If you want to start selling goods online, choose the best background for your eCommerce project launch. Today we will talk about Eveprest multipurpose PrestaShop theme, which may turn out to be a perfect solution for your business needs. Eveprest can be called one of the most miraculous works by TemplateMonster. The theme offers the owners a number of pro modules and logos that were designed for multiple purposes. Eveprest is delivered with a solid pack of documentation. TemplateMonster will improve Eveprest, the template will get bigger and better with each new release. Eveprest was developed to match the most popular business niches. It includes 4 themes: fashion, electronics, spare parts, and furniture. Each of the topics is supported by 4 different layouts enhanced with rich functionality. The theme is supplied with an extensive collection of pre-designed pages necessary to start a web store quickly. 8 color variations are included, so you can click between them. There are more than 128 variations of the front page organization for each of the 4 topics. Let’s calculate: the total amount of Eveprest front page combinations is more than 512. However, that’s not all; the theme supports the possibility to add new layouts. The clean and refined layout of this store allows brands sell their luxury and casual apparel online. A page-wide carousel slider at the theme’s header introduces the visitors to the featured products available in your inventory. 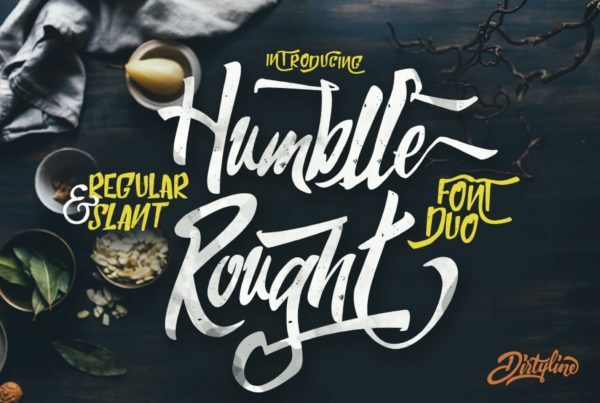 Hollow elements of the template seamlessly blend with the rest of the layout and impart a refined airy look to the theme. Sticky MegaMenu and Ajax-based search form allow online shoppers find the desired item swiftly. A wishlist makes it possible for the web users to save the items they like on a separate page for later reference. 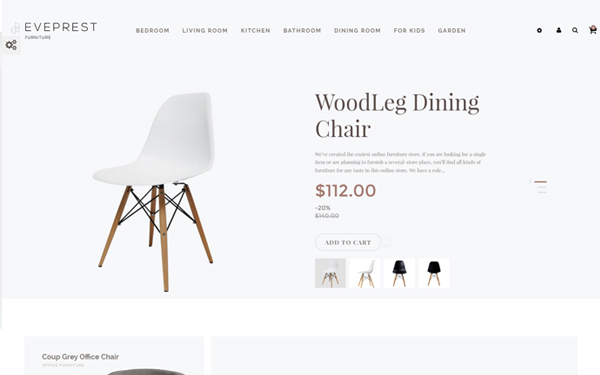 The theme has an integrated LookBook. This is a separate page, displaying clothing on models as you hover the images. The users can choose from a number of currencies and language options. Product banners, advanced filters, Quick View, and Cloud Zoom functionality provide the users with an enjoyable shopping experience. TM Collections module lets the users create collections of the outfit they prefer and share them with friends on social media. This theme is designed in clean style. 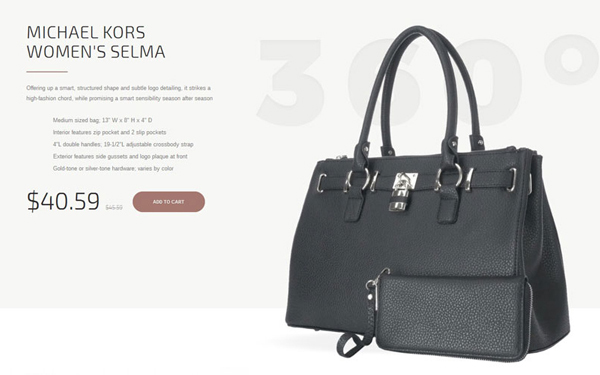 Its header showcases a set of highlighted products organized in a slider. Pricing details, short description, a CTA button, a carousel image gallery accompanying each item from the stock invite the users add the preferred item(s) to cart immediately. 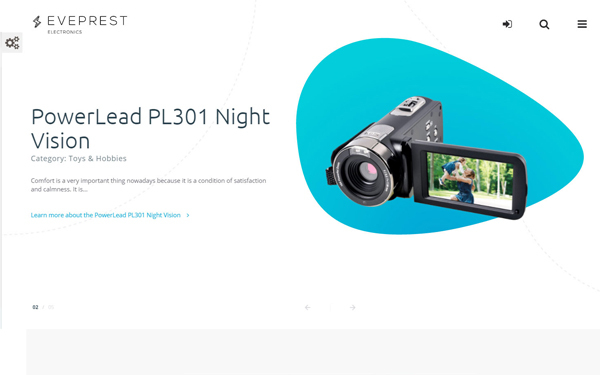 Product banners and featured items on the main page are arranged in card-based lists featuring a functional hover effect. The smart use of white space makes the page quick and easy to scan. There is a set of the recent blog publications next to the block with popular products. It lets the users stay informed on the latest news. The LookBook is also supported by the theme. Thanks to it, a user can see how various pieces of furniture look in real life environments. Click the hot points standing for each piece of the image and view the pop-up with additional details about the particular item. The design of this theme is touch-friendly. Icons and main navigation elements are prominent and recognizable. Main navigation panel is minimized and presented by means of a sticky hamburger icon. Social login form, Ajax search, and shopping cart also have fixed position at the top of the page. Unlike the previous designs, this one features the elements in Material style. They make the web page look trendy and straightforward. Mosaic Products Grid imparts a stylish look to the theme. It lets you bring new and discounted items, banners, videos, and sliders to the foreground. The theme has an informative footer. A set of the highlighted company benefits standing behind the site can be read above it. The users can see a carousel slider of brands whose products you sell on the site next to it. Site visitors can sign up to the company newsletter and get updates on your unique offers to their emails. This theme was created for cars and bikes sites. It welcomes the users with an advanced product filter placed at the header. 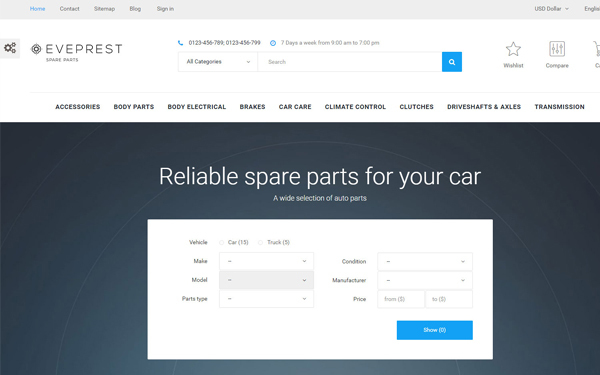 Here, people can narrow down the search results by vehicle, make, model, manufacturer, etc. Lists of traditional categories are arranged in grids. Thanks to enough white space, the texts are legible and easy to scan. 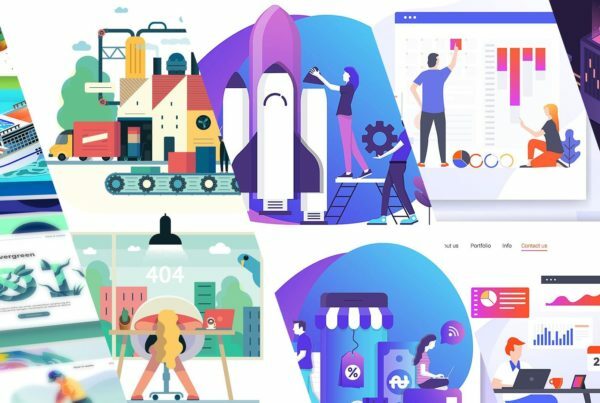 Popular products are provided with product badges and a functional hover effect, which changes a product thumbnail image for a different one on the mouse-over. MegaMenu remains pinned giving customers’ quick access to your site main categories. Wishlist, compare, shopping cart, live search bar, a drop-down menu with all categories, and contact details can be found at the very top of the page. Use TemplateMonster’s custom Mega Layout Builder to create usable, functional, and versatile pages. The Builder gives you the choice of multiple layout blocks. This way, you can adjust the footer, header, top column, and home the way you like/need. It’s also possible to choose from the 4 pre-made layouts for a quick start of your business. Eveprest comes pre-loaded with 20+ premium modules that can make your site even more powerful and user-friendlier. Choose from multiple ways of smart content presentation, entertain the users with sliders and videos, and establish a better contact with the audience by means of a newsletter pop-up. Save shoppers time with Ajax-based search that finds the items desired by the user in an instant. We have already mentioned above that Eveprest continues to grow. So, one more topic has been recently added to the bundle of this multipurpose PrestaShop theme. It provides a professional design meant for one-product stores. Let’s find out how the topic can help retailers improve the efficiency of their product showcase and speed up the checkout for customers. Similar to other themes from the Eveprest bundle, One-Product Store comes with a front-end customizer, language and currency switchers, dynamic parallax blocks, etc. 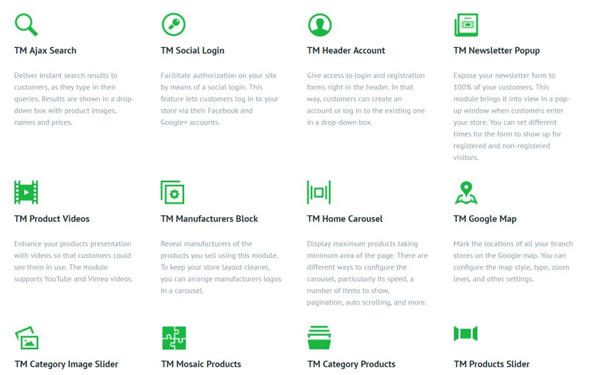 But what differs this TemplateMonster theme from the others, is its innovative functionality that can enhance both your and customers’ experience. All buyers wish they could try on or touch the item they are going to order. To overcome this challenge, TemplateMonster’s team developed a 360-degree view module. It makes online shopping experience maximally close to the in-store one. By means of the module, customers can view the item at every angle, rotating its image 360 degrees with a mouse or touch screen of a mobile device. Such full product view will encourage them for the purchase as they’ll be more confident that the product meets their needs. Needless to say that customers satisfaction will grow, which will lead to the product returns reduce. It’s a well-known fact that customers often abandon carts at the last moment because it takes too long to complete the purchase. That’s why; the developers integrated this multipurpose PrestaShop theme with a module that brings the shopping process to a single click. It enables customers to make a quick purchase avoiding registration and multi-step checkout. This technology will not only minimize carts abandonment rate, but also increase impulse purchases. Here’s how the 1-click order module works. 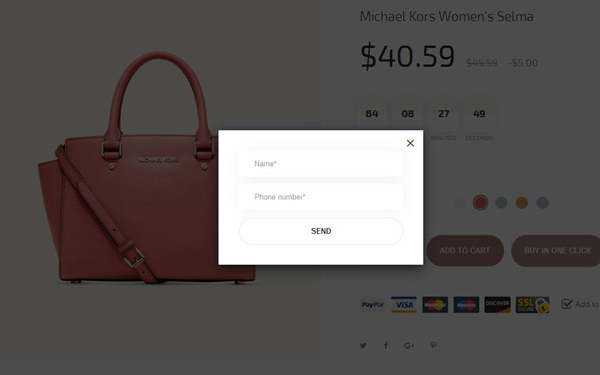 Customers go to the product page and click “Buy in One Click.” All they need to do next is to fill in their name and phone number to a pop-up form and click “Send.” that’s all – the order is complete. There’s a new menu item in the admin panel that shows all the unprocessed pre-orders. Clicking on one of them, you will enter an individual page with the details specified in the pop-up form. Then, you’ll need to contact a customer for some more details including his delivery address, payment and shipping methods. As soon as you fill in all the necessary fields, the pre-order converts to orders. And then you can work with it just like with regular order. Surely, Eveprest is fully responsive and retina ready. 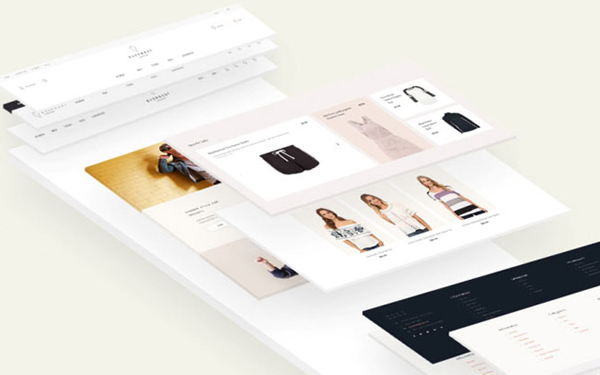 It’s an all-inclusive template suitable for a variety of popular eCommerce projects. You pay $139 for a single-site license and get free 24/7 support, extensive documentation, a pack of premium modules (which will cost you $1483), and a heap of ready-made logos that can be used for any of your personal or business projects. Eveprest enables you build versatile layouts, which means that your web store will look and perform better than your competitors’. Pre-designed eCommerce layouts for the most popular niches will help you launch your online project in no time. Not sure that you will cope with your store customization? TemplateMonster service center will do everything instead of you with their greatest pleasure. Are you ready to become a happy Eveprest owner?